Miss Universe Chile 2016 is Catalina Cáceres! This 26-year-old 5'9" tall will represent the country at the upcoming Miss Universe 2016 in Manila, Philippines. Catalina joined her first pageant at "Nuestra Belleza Chile" in 2014 and won her first beauty queen title. After 2 months, she won Miss Earth Chile 2014 and flew to the Philippines to compete in Miss Earth 2014 but unfortunately she was unplaced. After Miss Earth, she was also the winner of Miss Eco Chile 2015 and competed at Miss Eco 2015 pageant wherein she placed fourth and also won the Best in National Costume award. Catalina succeeds Miss Universe Chile 2015 Maria Belen Jerez Spuler, and will now represent the South American country at the Miss Universe 2016 pageant to be held on 30th January 2017 in the Philippines. 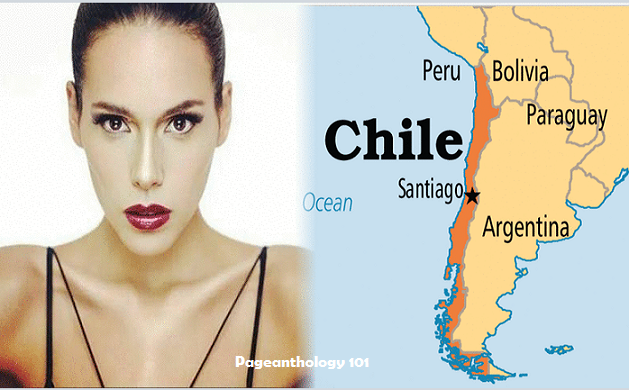 Chile has one Miss Universe queen through Cecilia Bolocco who titled Miss Universe 1987.